I made this salad to try something different. Because I made more protein than called for in the salad I was able to make a planover meal later in the week. I like two for one meals. Halve romaine heart and roughly chop into bite size pieces. Place romaine on plates. Mix together cashew cream and salsa. This will be your dressing. 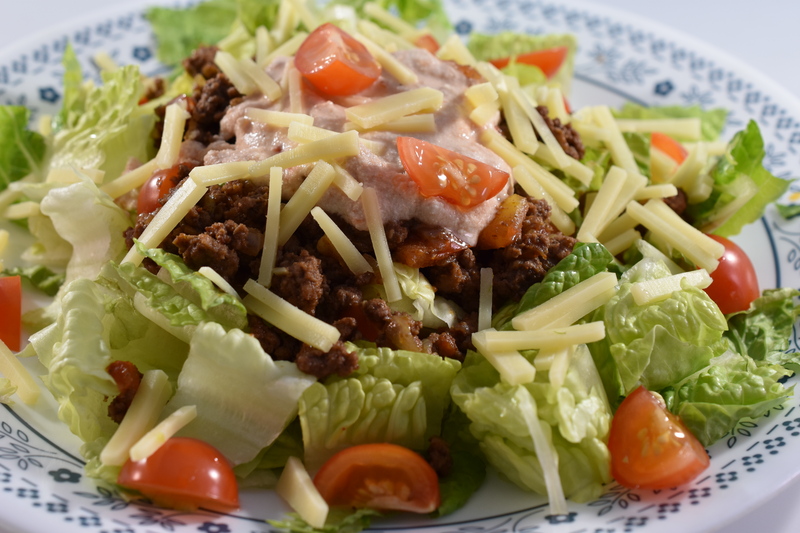 Sprinkle taco meat on top of lettuce. Add cherry tomatoes, cheese, gremalata, jalapeño and dressing. Serve with a lime wedge. Serve. Eat. Enjoy.